Are you using social media to market your blog? Or are you just winging it with the hopes that everything will just work itself out eventually? 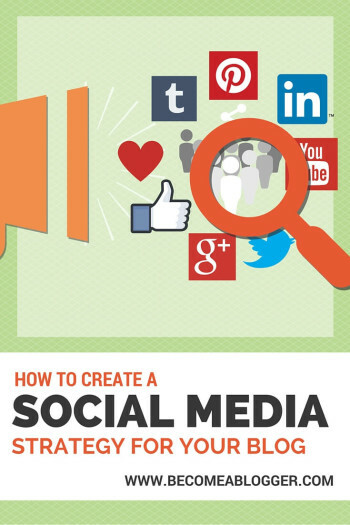 In this post, I will share how to create a social media strategy for your blog. Social media is here to stay. I remember getting started on sites like Yahoo chat, Myspace and eventually Hi5. It was such a neat experience because you were able to connect with friends and family. Connecting was easier than it was before, regardless of where they were in the world. But beyond that, you were also able to meet and connect with people you didn't know in real life. It was fun, exciting and new. Social media has evolved. It's no longer a cool new feature. Instead, it's intertwined in the very fabric of our Society. But like with anything else, there are pros and cons. Whether you like it or not, social media is a powerful tool. And if you're not using it to market your blog, you may just be missing out on a significant opportunity. When it comes to social media, there are so many options. In some ways, too many. Here's an overview of the major social networks with an analysis of their pros and cons. This is the “everyone network”. With over 1.59 Billion members, it's MUCH larger than every other social network. Regardless of which industry you're in, your audience is DEFINITELY there – unless your niche is “people who hate Facebook”. You're probably already used to using Facebook. As a result, there's no huge learning curve. You have very advanced targeting abilities for paid advertising. Video is doing very well on their platform – over 8 billion daily video views. It's becoming a pay to play platform for businesses. If you can't pay, it's harder to build using Facebook. 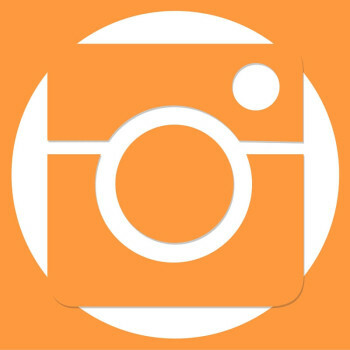 A photo sharing and engagement network. Over 400 million users. This is a great place for broadcasting and connecting. Over 300 million users. You have easier access to people you otherwise wouldn't have access to. Engagement on Twitter is significantly lower than on Facebook. Twitter has been struggling to make money. As a result, its future is somewhat unpredictable. I think of Pinterest as an online scrapbooking platform with social features built in. Over 100 million users. You can organize content in a visually appealing way. With so many options to choose from, it's easy to get overwhelmed. My first recommendation is to choose one primary and one secondary network. Your primary social network is the one that you're going to spend the most time on. This will be your main focus. 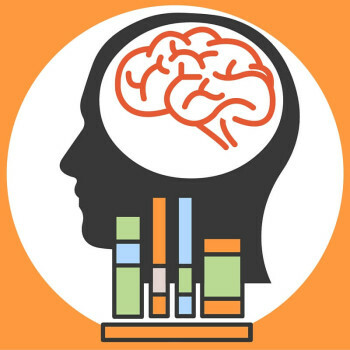 Where is your audience most likely to engage with your content? 1. Where is your audience most likely to engage with your content? This question is important and often overlooked. If your content is very visual, choose a social platform that's inherently visual (i.e. Pinterest or Instagram). If your content requires consistent outreach, choose a platform that enables you to connect with strangers more readily (i.e. Twitter). 2. Which platform do you see yourself having the most fun with? There are some platforms that I just don't enjoy. However, there are others that I do. I'm not a fan of Twitter, but I love Facebook and Snapchat. Instead of forcing myself to focus on Twitter, I chose to take the path of least resistance. If you're going to focus on a platform, choose one that you enjoy. Your audience will see how much you enjoy it and love your content even more as a result. 1. Be SOCIAL and CONNECT with your audience (or potential audience). People don't get on social media to be marketed to. They go there to connect and to get content that's valuable to them. Don't be on there simply advertising your products and services. Connect and engage. 2. Share valuable content. Whether you're sharing videos, pictures, links, or status updates, provide value. By doing this, your audience will grow to know like and trust you as an expert in your field. When they are looking to do business, they will turn to you! Here's one of the biggest problems with social media for bloggers. YOU DON'T OWN IT. This lack of ownership is a tricky thing. You can build an empire on a social network, only to have the network change the rules of the game. MANY bloggers were very disappointed when Facebook started making algorithm changes. These changes resulted in a drastic decline in organic reach. They lost their only source of traffic and their businesses tanked. Focus your efforts on getting as many people that are following you on social media to your email list – an asset that you own. You can do that by having strategic calls to action throughout your social updates. Get people on your email list. SERIOUSLY! Some important things need to be in place to have a solid social media strategy. Create good content and optimize it for your audience. Let's face it. There's a lot of crap on the internet. To cut through the noise, you have to create good content. It has to be high-quality. It also has to be relevant to your target audience. In a world where there are tons of blogs, you want to be one of the best blogs for a specific person. 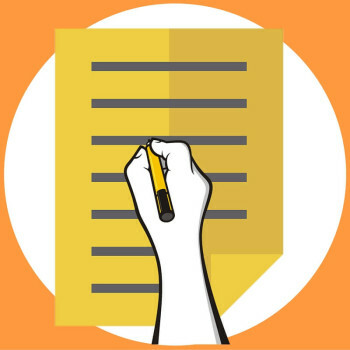 Also, structure your content for readability and shareability. How? Use short sentences and paragraphs. In a world where most people browse the internet on their smartphones, keep it short and simple. Use headings. This breaks up your content in a way that makes it easier to consume and process. Use images. The internet is becoming more and more visual. A picture is worth a thousand words, so make every word count. Consider using various forms of media. Some people are more likely to share videos or podcast episodes. Give them those options. Lastly, make sure to use a social sharing plugin. Social Warfare is the most optimized one I've used. It's the one I recommend. Your main goal is to provide value to your audience. Sometimes, that value will come from you and other times it will come from someone else. The internet is oversaturated and overwhelming to many. By doing the hard work and curating great content, your audience will learn to see you as a go-to resource. You are making life easier (and less overwhelming) for them, and they'll love you for it. As mentioned before, people are consuming your content on mobile devices. 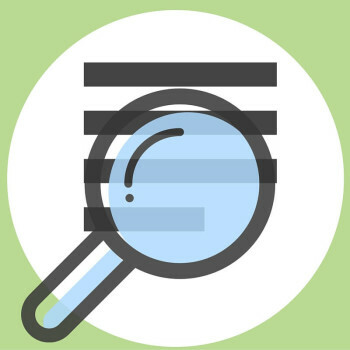 If you don't optimize your blog for the mobile experience, you are missing out. Make sure to use a responsive WordPress theme. Secondly, make sure your blog loads quickly. GT Metrix is a good place to start for testing the speed of your website. If you're going to use social media to market your blog, then make sure to optimize your profiles. Fill out ALL of the relevant details. You want people to be able to see who you are, what you do and where to find you. Don't make them have to do extra work to find those details. Make it clear what your mission is. If your business provides exercise routines for pregnant women, make that clear. Include a link to your blog or website. This should be obvious and needs no explanation. 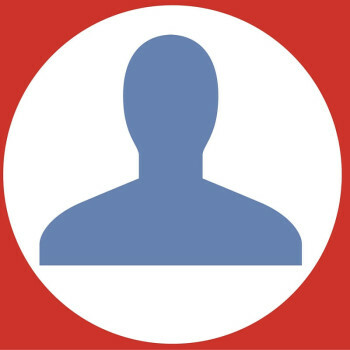 Use a clear profile photo. If you are the personality behind your blog, use a nice picture of your face (not a logo). This helps to humanize your blog, and that's huge in social media. Use a relevant cover photo on networks that have that feature. That's another piece of real estate that helps to paint a picture of who you are and what you do. To become a leading expert in any industry, you have to stay on top of your game. You need to keep sharpening your ax. Constantly consume content that's relevant to your niche/industry. With the world changing as rapidly as it is, those who fall asleep at the wheel will become obsolete quickly. I recommend subscribing to blogs or other publications and following thought leaders in your space who share good stuff. This might come as a surprise to you – Social Media can rob your time. I know – it's surprising. If you don't determine how much time you want to spend on social media, it can easily end up taking over your life. Be proactive and control what you do on social media. Don't let social media control you. One of the big problems bloggers have is coming up with content on the spot. Content to create for their blogs AND content to use for social media. 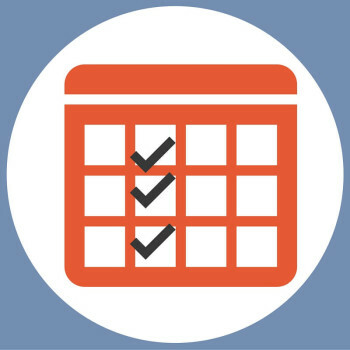 Create a content plan/editorial calendar. I create my schedule three months in advance. When I'm writing my content for a post, I create my social media updates while the content is fresh in my mind. This helps to save me a lot of time. Coschedule – This is the main tool I use for managing my editorial calendar in WordPress. It's great because it also allows me to schedule my social media updates for my posts. And I can do that from the WordPress Dashboard. Meet Edgar – This is a great tool that gives you the ability to create a library of social media updates that gets cycled automatically. It is a set it and forget system. But it's overpriced in my opinion. Tweet Jukebox – This tool accomplishes the same thing as Meet Edgar but only on Twitter. It has a free plan, which makes it attractive if your main focus is Twitter. Facebook Scheduling – This is the best tool for scheduling on Facebook. There's some evidence that using external schedulers on Facebook lowers reach. 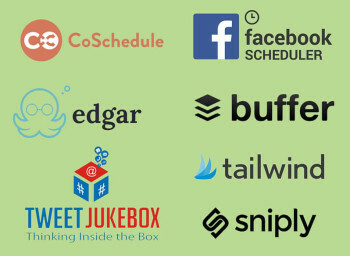 Buffer App – This allows you to schedule social media updates on Twitter, Facebook, LinkedIn, Google+ and Pinterest. 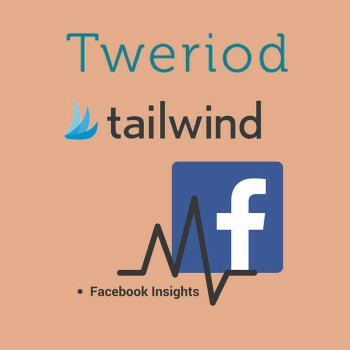 Tailwind – I recommend this app if your primary social media channel is Pinterest. Snip.ly – This is a cool tool that allows you to add calls to action to your social shares. If you use this efficiently, you can share other people's content while still driving people back to your blog or email list. Once you’ve decided on the tool(s) you want to use, it’s important to decide how often you will post. The key is to be consistent while being realistic. There are different tools you can use to determine the best time to post. 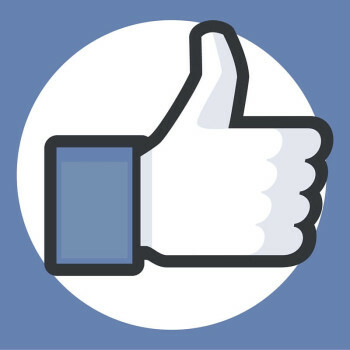 Facebook Insights – Tells you when the people who like your page are online. 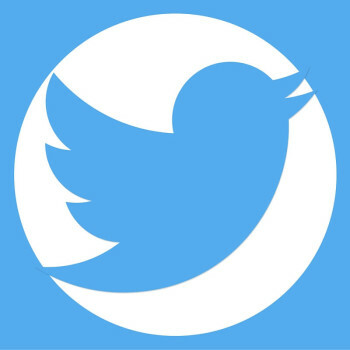 Tweriod – Allows you to determine when most of your Twitter followers are online. These tools can help you determine the ideal frequency for your specific situation. However, a lot of that also comes from experience. Test and see what frequency gives you the best engagement. Also, depending on the network you choose, see what the experts say and then create a schedule that will work for you. One of the great things about marketing online is that it's relatively easy to track what's working. 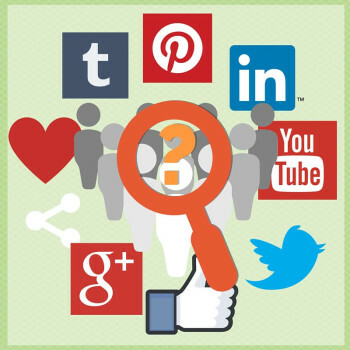 Unfortunately, most people don't track their social media marketing efforts. Google Analytics gives you some back insights into what's working. 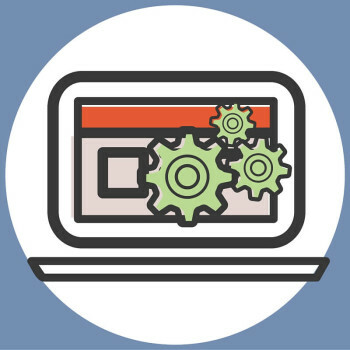 However, you want to get even more detailed; you can use UTM tracking. Rather than explaining how to do that here, I'll just point you to my post on How to Use UTM Tracking to Track Your Online Marketing Efforts. There are so many social media marketers out there that offer social media marketing services. As a result, many bloggers consider doing this. I have a few words of advice for you – BE CAREFUL. 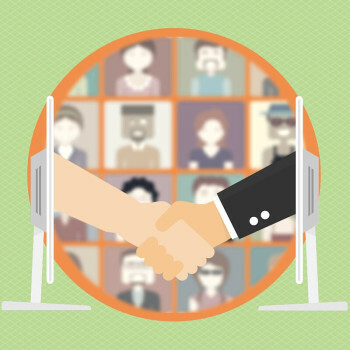 Outsourcing can be great because, if done well, it can take the load off your shoulders. However, Social Media is easy to get wrong, and most people do it wrong. Here's the thing – nobody knows you better than you. If you are going to outsource, you want to make sure that the correct messaging comes through in your marketing. To do this well, make sure your processes are VERY clear. Don't leave anything up to chance. Also, you will want to be more hands-on in the beginning until you are sure that they can do what you want them to do. Wow, that was a lot. But did I miss anything? Do you have some tips that bloggers should keep in mind when coming up with a social media strategy? Go ahead and share them in the comments area below. Coschedule – for managing editorial calendar in WordPress. Meet Edgar – gives you the ability to create a library of social media updates that gets cycled automatically. Tweet Jukebox – This tool accomplishes the same thing as Meet Edgar but only on Twitter. Facebook Scheduling – This is the best tool for scheduling on Facebook. 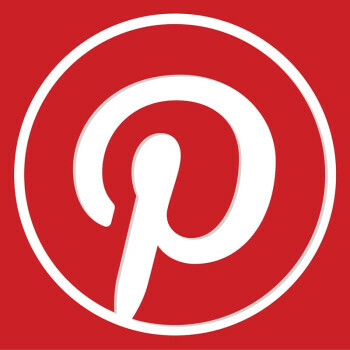 Tailwind – Recommend app for scheduling posts in Pinterest. Snip.ly – This is a cool tool that allows you to add calls to action to your social shares. 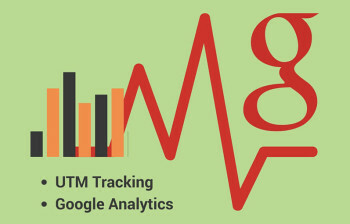 How to Use UTM Tracking to Track Your Online Marketing Efforts – a previous post that on my blog that goes into the details of how to track your online marketing efforts.